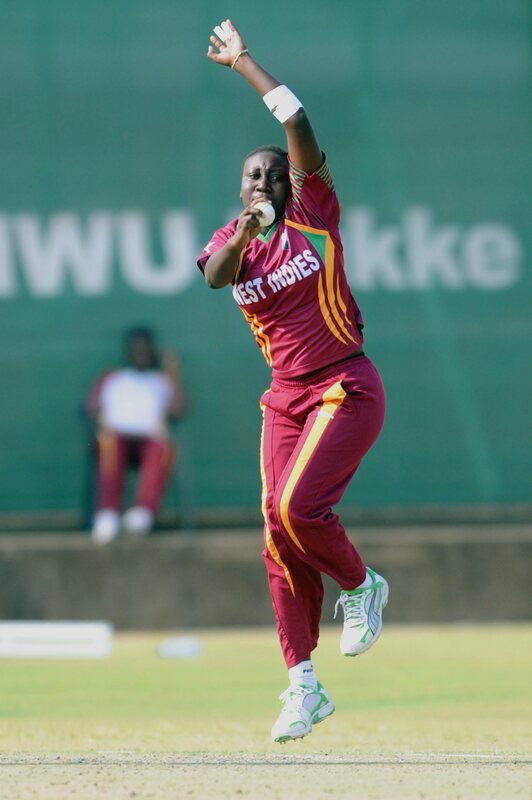 Stafanie Taylor bowling during her two-wicket spell. She also topscored with 72. Juliana Nero taking a single during her knock of 52. Stafanie Taylor was again among the runs. She made 68 not out.